1. 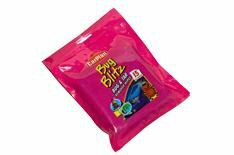 CarPlan Bug Blitz Bug and Tar Wipes | What Car? Little effort is needed to cut through the toughest baked on debris, thanks to the textured finish of these wipes. Theres no need to wait for chemicals to take effect, and cleaned paintwork buffs up well, too. The cheapest of all the wipes we tested, but still expensive per use compared with sprays. One wipe will go a long way, though. Straightforward and speedy to use. The wipes come in a resealable wallet that is convenient and doesnt take up much space. Safe to use on all finishes and can deal with a wide range of debris.